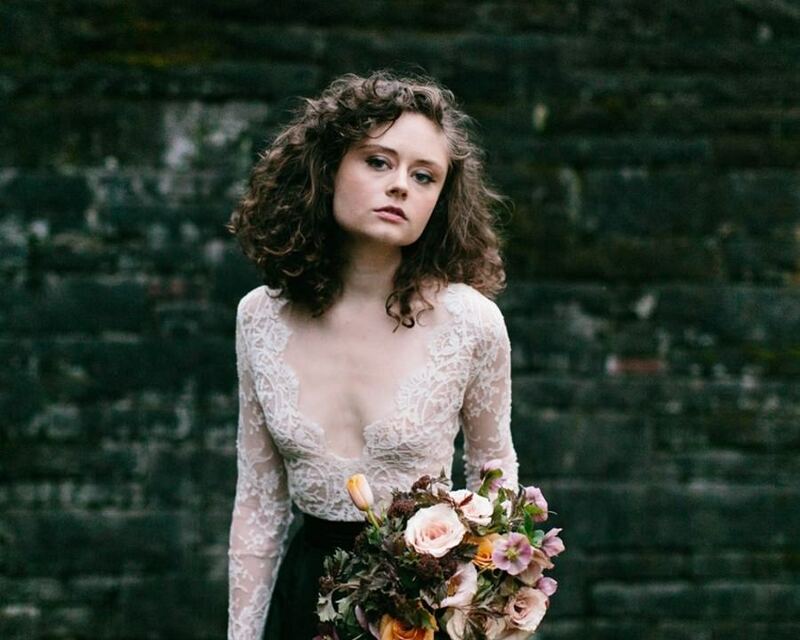 There are lots of ways to incorporate a spooky feel into your bridal outfit. 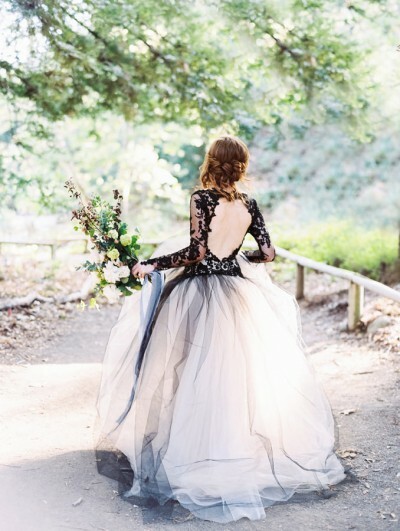 Have you ever considered wearing a black wedding dress? A midnight black gown with lace detailing is the ultimate dress for a dramatic Halloween wedding. It’s guaranteed to turn heads! But if you’re not a fan of wearing a black dress, why not opt for a chic black jacket and black bridal heels? You’ll look seriously stylish with a subtle nod towards your eerie theme. The groom will look handsome in a black tux or navy velvet jacket. Halloween meets luxe! When it comes to Halloween blooms you’ll need to speak to your wedding florist about which flowers are in season. 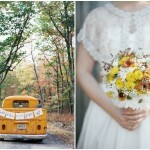 Then you can create your dream wedding bouquet for Halloween. 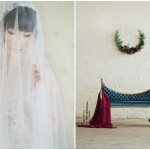 I love the thought of mixing forest green foliage with blood-red blooms. Tie will a black velvet ribbon for a finishing touch. 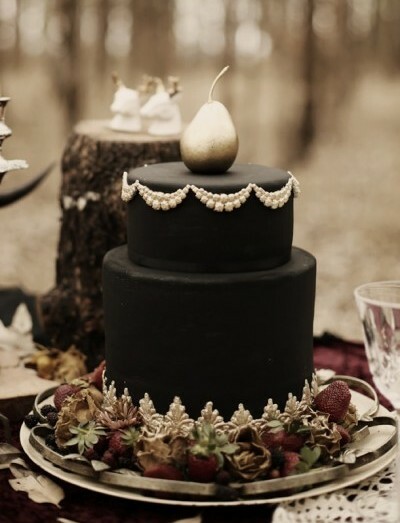 Black wedding cakes aren’t seen very frequently but they’re a wonderful option for a Halloween wedding. It’s also likely to be a unique choice and it’s a striking alternative to a traditional wedding cake. 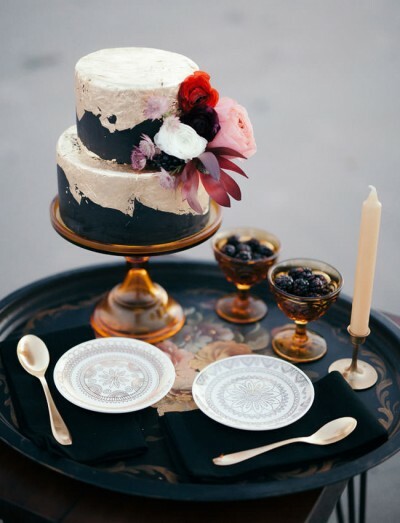 Decorate black icing with gold metallic accents or adorn with wine red sugar flowers. It’ll look chic yet romantic. Halloween wedding tables should encompass a gothic style. A mixture of tall black and red candles are a perfect mixture of spookiness with a dash of romance. 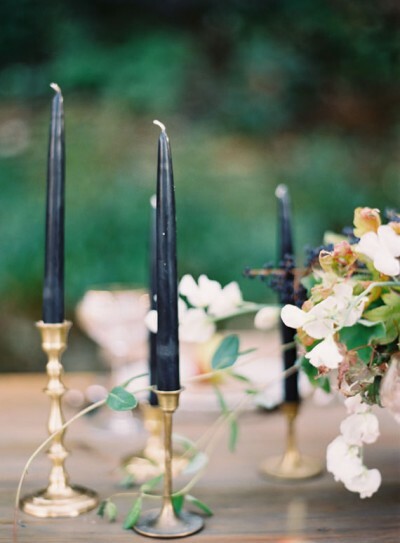 Antique gold candelabras are a must-have for any Halloween wedding, and they’ll add to the medieval feel. A simple black table runner stands out against a wooden banquet table – match with black napkins and table stationery. 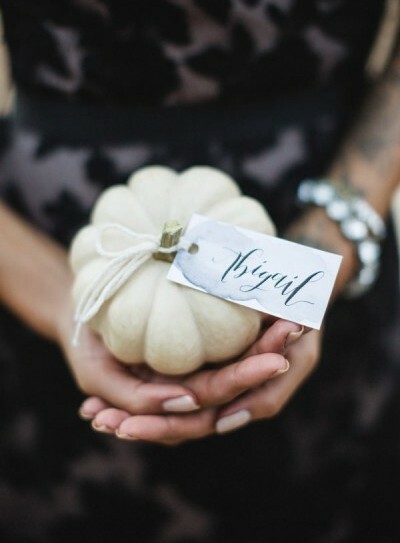 A Halloween wedding doesn’t need to be all about skeletons and scary elements, it can be mysterious and eerie yet romantic. 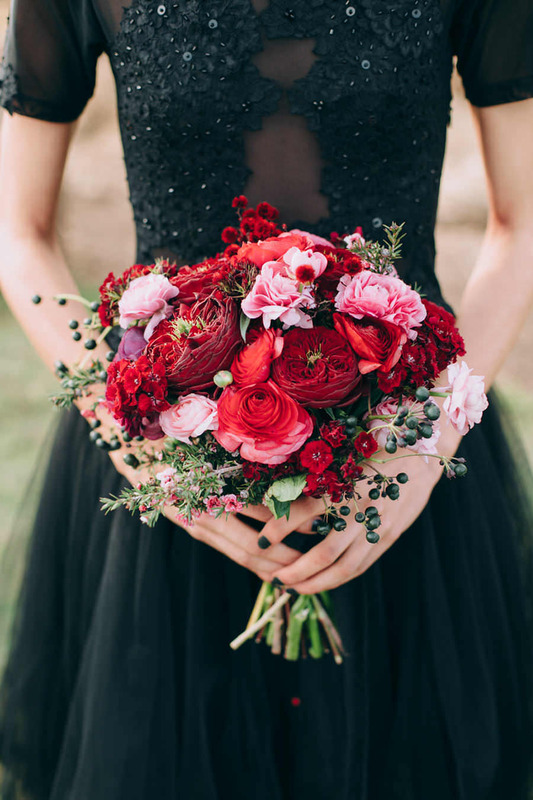 Focus on black as the main shade for your colour palette, but use subtle ruby red and plush purple throughout your wedding details. Missed anything from this past week? Catch up links below! Anna Campbell 2017: The Ceremony Collection! This week we welcome the following to the wedding directory… please do check them out. The black dress is so cool.